Backed by the team of experienced professionals, we are providing an extensive array of high quality Granites. 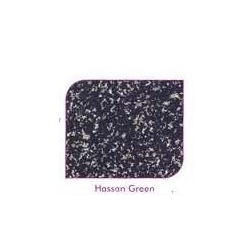 These are widely used for monuments, stair treads, counter tops, window sills, street curbing, wall cladding, roofing, flooring and various other interior works. Due to hardness, durability, simple texture and less maintenance, these granites are used as the construction stone of building material. Appreciated by both architects and engineers for permanence, enduring color, texture and complete freedom from deterioration and maintenance thus are highly demanded in the market. Further, these granite slabs finds their applications in bathrooms, floors, office panels and in creating modular kitchens to cater beautiful flooring. We are one of the foremost Traders and Suppliers of quality range of Marbles, Granites and Stones. In our product range, we provide Floor Marble Tiles, Marble Stones, Granites, Shahabad Stones, Kota Stones, Imported Marbles & Granites, Slate Stones and Ceramic Tiles. Our product range is sourced from some of the reliable vendors of the industry, who are known for consistently offering high quality products in the industry. We are providing our extensive range of products according to the diverse requirements of the customers. Our customers can avail these products from us at market leading price range. We are supported by highly developed warehouse and a squad of highly skilled professionals. These products are cautiously inspected by our seasoned professionals to make certain superior quality product range for our valuable clients. Due to these factors, we are able to create huge client base across the nation. We are also engaged in offering installation services of marbles and granites. Apart from our quality, we are also acclaimed for our transparent business, competitive rates and prompt delivery.